Most journalists are truly lovely people and many of them I now count as genuine friends. Some are not so lovely, and this makes publicity far from ‘free and easy’. Achieving coverage for a client is no simple feat; it is a long and treacherous journey and is often the result of strong relationships PRs have been forging and nurturing over the years. 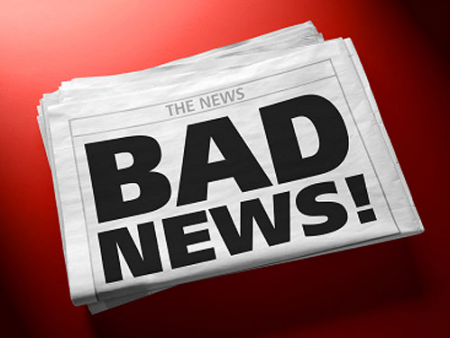 Every PR remembers their first experience of a rude journalist (mine was particularly bad and went something along the lines of, ‘if you send me a story as boring as this again, I’ll kill myself)…that’s the main reason we have thick skin! 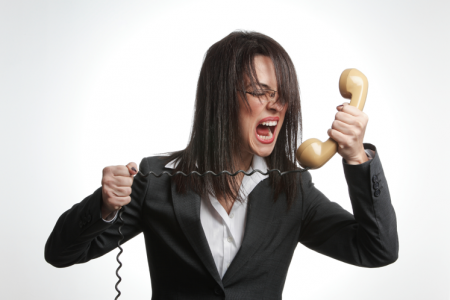 If any journalists are reading this, please be nice to the next PR who rings you! We know you’re very busy, because so are we. Don’t get me wrong, we have our fabulous moments rubbing shoulders with celebs at an all-expenses-paid party, but I assure you these occasions are few and far between. Most weeks consist of long hours, hard work and stressful phone calls. In fact, you’ll rarely find a PR that doesn’t check their emails at 10pm at night. How Samantha had time to enjoy all of her other ‘hobbies’ is beyond me. I’m sure every PR professional will tell you they seethe with rage when Daniel Cleaver drops this line in Bridget Jones’ diary. 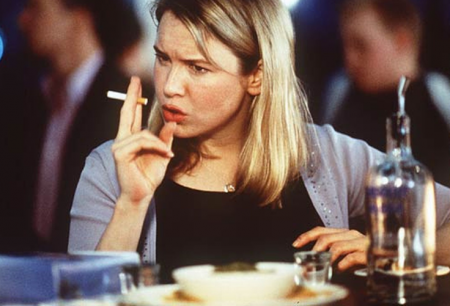 While writing the press releases in question, poor Bridget was probably also organising an event for 300 people, responding to social media complaints, drafting a proposal, updating budget sheets, speaking to difficult journalists and single-handedly dealing with a media (and/ or personal) crisis… just one of the reasons she’s our hero. My mum is convinced I’m a promo girl (mainly because PR didn’t exist back in the good old days). As a quick FYI mum, I have never handed out flyers on a ‘strip’ in Malia, so there you go. Thanks for reading this blog. I hope it’s dispelled some of those myths you’ve heard about PR and I’ve given you a little insight into the profession. I can probably think of about 10 more myths that I’d like to address here but now is not the time – I have some networking to do at a rooftop bar. 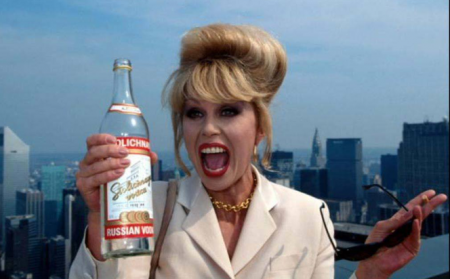 Ciao, darlings. Another day, another Twitter beef! The newspapers and magazines rarely print an issue without reference to an argument or issue that’s been taking place on good old Twitter, but although most of them seem to involve Taylor Swift or a member of One Direction, brands are often in the spotlight for their conduct on social media. Just this week, dating app Tinder has come a cropper in the eyes of the media as they unleashed a 31-Tweet tirade in response to a Vanity Fair article, which heralded the app as being the harbinger of the “dating apocalypse”. The Twitter onslaught was apparently thought out and planned as opposed to the work of one disgruntled Tinder employee, and aimed to highlight and challenge some of the points in the feature that they disagreed with, but it came across in the eyes of many like a rather cringe-worthy rant. There’s no right or wrong when it comes to a brand’s conduct on Twitter, but the social media channel has been around long enough now for good practice to be engrained into an organisation’s social media strategy. •	Complaints and negative tweets need to be acknowledged as soon as possible. If a customer Tweets a brand directly about poor service or products, reply immediately, take them offline and deal with the points made in a professional way. •	Be human! Social media is just that – social. Twitter and Facebook aren’t just places to share company news in a corporate, one-way communication street. Getting the right voice is important, and portraying your brand’s personality is crucial. Both O2 and Three hit the nail on the head recently with a rather funny Twitter “war” concerning free pizza for a disappointed competition winner, and Legoland Windsor did well to respond to a recent Facebook complaint letter that went viral and was shared over 7,300 times. •	Have a clear social media strategy. Get a plan in place for regular, planned and insightful content, but be prepared to take what comes every day, roll with the news agenda and share useful tips, articles, quotes and jokes – as long as it is engaging and relevant to your audience. Do sense-check shared content carefully though, unlike this recent example by Bic South Africa (eeeek!). •	Don’t rant a’la Tinder – Twitter isn’t the place. A well-toned, calm and engaging blog piece to communicate their points may have been a better idea in the Vanity Fair case. •	If you are a social media strategist for a large organisation that has a high volume of customer feedback Tweets, set up a separate Twitter account for customer service. Nike does this very well, as does Asda. •	If you do have a great stunt idea that could go viral (we LOVE Snickers’ response to Jeremy Clarkson’s recent punch up and subsequent sacking), think it through including how it will be portrayed by the media, run it past the team and (to borrow a phrase from Nike) – just do it. Great ideas can gather momentum and gain traction for your brand in the blink of an eye. •	Don’t just respond to direct Tweets, search for other brand references and engage with people who mention your brand or services – create a new audience, chat and keep it informal. As specialists in all things digital media, we at JAM towers like to pay close attention to everything going on in the world of social networking and keeping up to date on how we can use it to enhance both our clients’ PR campaigns and also our own. By now most PR professionals recognise the importance of Twitter, Facebook and Instagram in creating a cost-effective campaign that truly connects with their target audience but one social media platform seems to still be slipping under the radar…LinkedIn. The most ‘professional’ of the lot, poor old LinkedIn appears to have gained a reputation for simply being an online C.V, when in actual fact it can be a vital tool in the on going fight to raise brand awareness. No ordinary underdog, according to PR Week the site is used by over 135 million business professionals worldwide – 18 million of which are in the UK alone, making it their third largest market after the US and India. That means 18 million potential customers and 18 million potential endorsees of the brand! The most obvious action is to actually set up a page – whether it be for your own company or for a client you are working for – different to the standard profile page this is specially designed for businesses. Use it to add credibility to the brand by ensuring all its content is tailored to the target audience and just like you would a standard website, make it a one-stop shop for visitors looking to learn about the business. This may seem obvious but ensure you link the company LinkedIn page to any pre-existing websites/ blogs/ Twitter accounts/ email signatures so that it’s easy to find. After all, what’s the point in going to the effort of creating one if no one knows it exists?! The more customers know about it the more page engagement it creates and the more successfully the page will work for you. Don’t just stick to promotional material though which will instantly make readers switch off. For every post promoting the company do four focusing on industry trends/ thought leadership’ – in other words, be useful! Mix things up by using a mixture of images, videos, status updates, events and links to blog posts. Even integrate LinkedIn status updates with Twitter. But more importantly encourage followers to engage with content and don’t forget to respond to their comments! Don’t be unsociable, make sure you actively search for groups talking about the brand or industry, join them and take part in the conversation. This is a great way of building brand awareness and getting the client known as an expert in their field – which is a key way of gaining both trust and influence. You never know you may even gain a new client by showing off your expertise. Groups can also be a great way of promoting events and even news stories directly to those it will affect. Finally, where relevant, take advantage of LinkedIn Ads. Often ignored in favour of the likes of Facebook Ads, LinkedIn’s ad platform is actually more powerful as its demographic is made up of decision makers, in other words those who control the purse strings! So don’t rest on your social media laurels, make the most of LinkedIn and all it has to offer by following these simple steps. 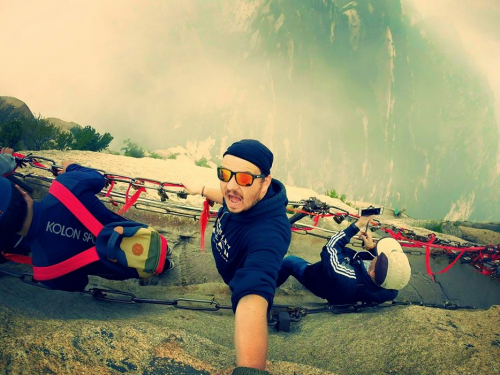 JAM is supporting charity fundraiser and adventure seeker, Cycling Scouser in his epic, 10,000-mile journey from China to Liverpool… on a push bike! Cycling Scouser – real name, Andrew Rogerson – is employed by Jaguar Land Rover, based in Halewood, as an auto electrician. However, he has taken five months out from his normal life to embark upon a gruelling cycle in aid of blood cancer charity, the Anthony Nolan Trust. Charitable Andrew, is funding the entire trip himself – sleeping on the sides of roads, in woods or at bus stops to keep costs down – and aims to cycle over 100km a day, allowing himself just one day off a week. JAM selects a charity to support each year as part of its CSR strategy. As such, Cycling Scouser is this year’s chosen charity that JAM is undertaking work for as a pro bono project. The work includes both PR and creative activity to raise awareness and increase donations for Andrew’s sponsored cycle. JAM’s creative division, in partnership with another Manchester based digital agency, Highly Developed, has built a bespoke website to document Cycling Scouser’s entire journey. The site includes an interactive map outlining the journey, indicating a live tracker of miles covered, current location and running total of funds raised. In addition, the site has regular blog with video diary entries and photos from Andrew, giving supporters full access to every part of the adventure. JAM is operating a full-service press office, generating press materials and securing media opportunities throughout Andrew’s journey. The PR team has, so far, secured press coverage both regionally and nationally, in print, online, TV and radio broadcast. Outlets including ITV News, Granada Reports, the Liverpool Echo and BBC Radio Merseyside, plus online adventure magazines have covered his incredible journey, to name but a few. As well as arranging media interviews with Andrew, via Skype, JAM is lining up further press activity for his return in October. JAM designed and produced an impressive media pack to arm Cycling Scouser’s supporters with, when they visited Westminster with other Anthony Nolan Trusts representatives, to present at the House of Commons. The creative team produced posters, business cards and t-shirts to distribute to local businesses and further raise awareness. Cycling Scouser has garnered a significant social media following across Twitter and Facebook, receiving celebrity support from many big names including Robbie Fowler, The Zutons and Jamie Carragher. He has exceeded his original fundraising target of £5,000 and has increased it to £7,000 due to the growing level of support for his adventure. Follow Andrew’s journey by heading to www.cyclingscouser.com, and find out how to pledge your support to Anthony Nolan. 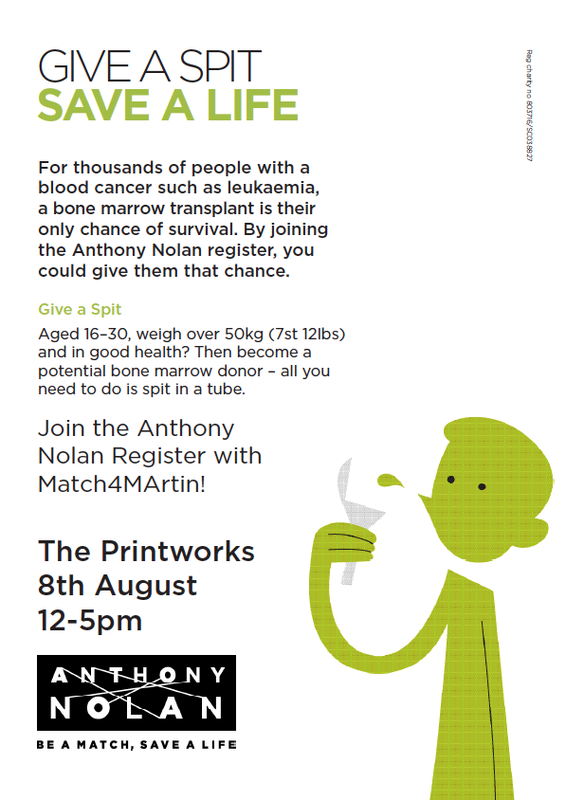 On a final note, another of our clients, The Printworks in Manchester is hosting a recruitment drive for donors to join the Anthony Nolan bone marrow donor register on Saturday 8th August. If you or anyone you know is in the area, head over and join the register. It takes just two minutes and you could be a match that saves a life! Here at JAMpr, we are always looking to further our knowledge and learn from other industry professionals. So, this week’s blog is a guest post from social media guru, Ed Moyse. Ed is the founder of JournoRequests.com – a social media tool which finds PR opportunities from Twitter. Twitter is a tour de force in the social media world, and as news consumption continues to migrate to the digital world, knowing how to master Twitter is essential to a successful PR campaign. Fortunately you don’t have to do everything yourself – there are loads of tools at hand to help! What good is getting news coverage if you can’t be part of the conversation? Tools like Mention, Precise and notify.ly alert you to any mentions of your brand online (and these mentions include Twitter – even if you’re not officially mentioned on Twitter). Our top tool is Mention – we love the ability to set up advanced filtering to hone in on the exact notifications you wish to receive. If you’re running an event, then web apps like Visible Tweets, and Tint are a great way to interact with your attendees. With Visible Tweets, you can show live tweets on a display. Whether your event has a hashtag, or you want to show mentions of your company, it’s a great way to encourage Twitter participation as attendees hijack the display for 15 seconds of fame. Visible Tweets couldn’t be simpler to set up, and the animations are incredible. What about after your event? How can you create a shareable summary of what went down? This is where Storify comes in. You can drag-and-drop tweets from attendees to be part of a story your followers will want to share… and you might even want to use it as a quirky press release! Whether you want to track down journalists using Topsy, or find influential Twitter users with Klout , identifying and reaching out to influencers is at the heart of PR. Topsy has a history of every tweet that has ever appeared on Twitter, which is really useful for pulling out influencers from specific niches. Followerwonk is great for this too – it’s a search tool to find Twitter users based on their bio. Just search for ‘Mashable’, and it’ll pull up a list of journalists who write for Mashable. Klout gives all Twitter users a score that represents their influence, on a scale of 1 to 100. It takes into account over 400 signals of influence – from number of followers to percentage of tweets interacted with to ratio of favourited tweets. If your PR campaign could use some powerhouse tweeters to back it, Klout is the tool you need. Do you know what hashtags would be the most effective to use in your PR campaign? Hashtagify does. Just type in a hashtag, and it’ll show you related ones that are popular. Once you’ve chosen which hashtags to use, you want to make sure you tweet at the optimal time to maximise the number of eyeballs on your tweets. This is where Buffer comes in. And to track the success of your tweets, you’ll want to make sure all the hyperlinks in your tweets are Bitly urls. Bitly tells you how many people are clicking through, where they’re coming from, what time they’re clicking, and where they’re sharing the link. Being the founder of JournoRequests.com , I am of course entirely biased. However, I’m biased with good reason – we made JournoRequests.com because we thought it was something that was missing. This service alerts you with free PR opportunities from Twitter. For example, someone at the Guardian might be looking for “small enterprises to feature in an upcoming story”. If you’re subscribed to Business & Finance alerts, you’ll get an email with the opportunity to land national press coverage. This blog post was made possible with contributions from Ross Tavendale of Ideas Made Digital, Tom Bourlet of Spaghetti Traveller , and Transmute.